The performance SUV, which also won 2017 World Car Design of the Year at the 2017 World Car Awards, scored 93 per cent for adult occupant protection, 85 per cent for child occupant protection and 80 per cent for pedestrian protection. 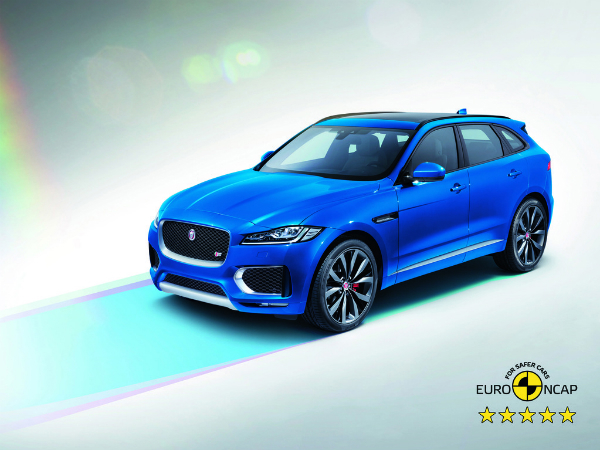 The F-PACE features an aluminium intensive architecture with six airbags to create a super-strong occupant safety cell allied with a suite of advanced driver assistance systems. The combination of active and passive safety measures helped deliver an overall Euro NCAP rating of 85 per cent. TEAMTALK APPVENT CALENDAR WINDOW #9 of 12!